We are excited to announce a new chair yoga class with Barb (see details below) and a special upcoming event. 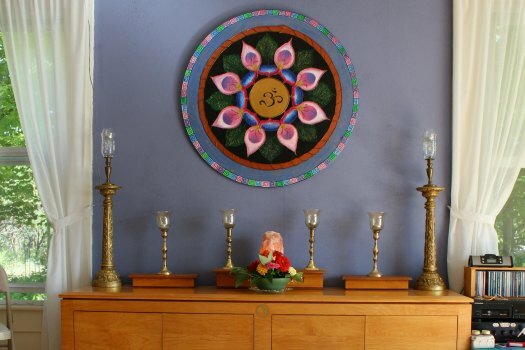 Design & paint your own personal mandala. This class is taught by award winning artist and yoga instructor Christine Tisa. A variety of templates and art mediums will be available. No prior drawing skills required. Register and prepay with paypal here or at the center by March 31st. For questions or to register by phone call 315-583-5500. Drumming Circle: Friday, March 10th from 7-9pm. Wellness Connection: Sunday, March 19th from 2-5pm. Practice gently yoga breathing and meditation with guided relaxation, a great stress reliever. This class is open to all levels from beginners to experienced. Enjoy a nourishing, soothing, stabilizing flow of postures. The class winds down with restorative yoga postures to comfort your body down to the cellular level. This class is open to all levels from beginner to experienced. Tai Chi classes coming soon! Tai chi is a Chinese exercise that uses slow, smooth body movements to achieve a state of relaxation of both body and mind. Do you have an idea for a special event or class you would like to attend at KYWC? Let us know!